Mr. Clark has more than 30 years of progressive experience in real estate development, capital program management and construction project management. His experience includes both public and private development projects, including higher education and K-12 schools, office, industrial and residential land development. During his career with the New Jersey Economic Development Authority he oversaw major urban redevelopment projects in Newark, Jersey City, Trenton and Camden New Jersey. He has specialized experience in redevelopment of urban brownfield sites in New Jersey. On Behalf of Greater Trenton, Mr. Clark’s current assignment is Senior Project Manager, Real Estate Development. In this position he supports the CEO and Board developing collaborative relationships to advance economic revitalization efforts in the City of Trenton. He has full responsibility for project planning, design and construction oversight for assigned projects supported by Greater Trenton. 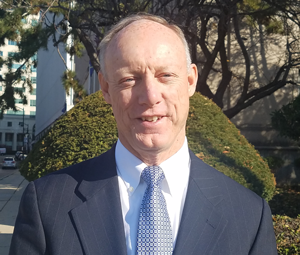 Prior to joining Greater Trenton, Mr. Clark was a Senior Real Estate Development and Construction Project Manager with the New Jersey Economic Development Authority and the New Jersey Schools Development Authority for over 25 years. He began his career with the US Army Corps of Engineers, Philadelphia District where he worked on major planning studies including hurricane evacuations plans for New Jersey and Delaware and flood studies for the Delaware River basin. He also spent several years working as a consulting civil/environmental engineer.